Blackmer liquefied gas pumps are designed for maximum performance and reliability under the most severe service conditions. Blackmer developed the first practical positive displacement gas pump over 40 years ago. Today, from the smallest cylinder filling operation to the largest, most sophisticated bulk plant / rail car unloading system, you will find Blackmer pumps operating throughout the world. •	Pumps are listed by Underwriters Laboratory for both LP-Gas and anhydrous ammonia service. •	Cavitation suppression liner design for reducing the noise, vibration, and wear normally caused by entrained vapors. •	Ductile iron construction with internal relief valve. 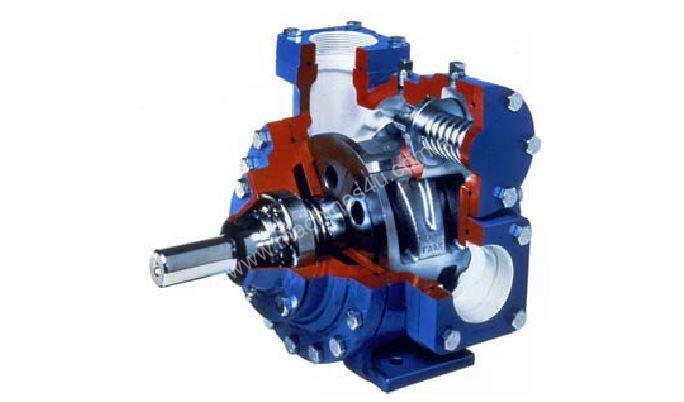 •	Unique sliding-vane pump design self-adjusts for wear to maintain flow rates. •	Excellent self-priming and dry run capabilities. •	Symmetrical bearing support assures even loading and wear for long life. •	Relief valve protects pump against excessive pressures. •	External ball bearings are isolated from pump age by mechanical seals to maximize bearing life and minimize contamination risk.